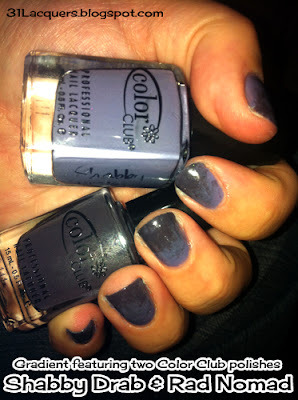 31 Lacquers: Day 10: Gradient - Color Club "Shabby Drab" and "Rad Nomad"
Day 10: Gradient - Color Club "Shabby Drab" and "Rad Nomad"
This photo was taken at dusk with a flash, but you can still see how pretty the purple leaves of the cabbage look. 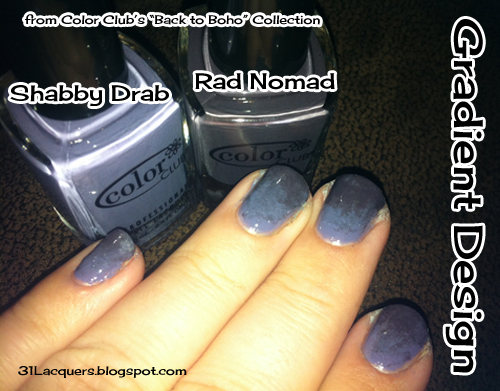 I started with a layer of Color Club's "Rad Nomad," a dark lavender from the Back to Boho collection, and then sponged on some OPI "Green-wich Village" at the base of my nails. I then sponged on some Color Club "Shabby Drab," a lighter lavender from the Back to Boho collection, and then more of the "Rad Nomad" at the tips. 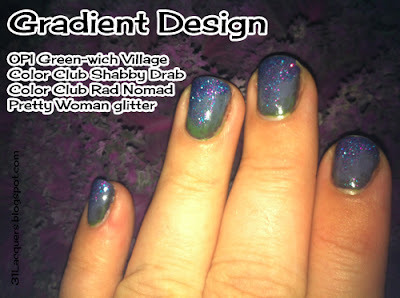 I wasn't happy with how the gradient looked, so I stippled on some no-name glitter mixture from that Pretty Woman set I got for Christmas. 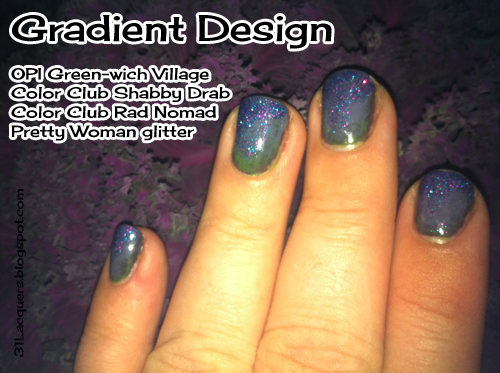 I left off the green and the glitter and tried to fade the lighter "Shabby Drab" base into the darker "Rad Nomad" on the tips. Maybe I should have used different colors because I still don't like the end result. What do you think? I had a hard time getting my gradient to "gradiate." Do you have this problem, too? This actually looks pretty good. I have a similar problem, but I think with practice it gets better. 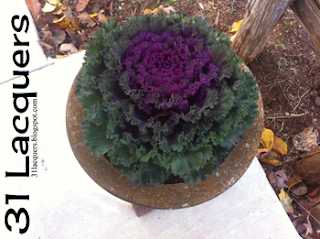 I love the combination of colors purple to green..very pretty!! !